Many preachers teach that one is saved by merely professing a faith in Christ—and they call that salvation—calling on the name of the Lord. 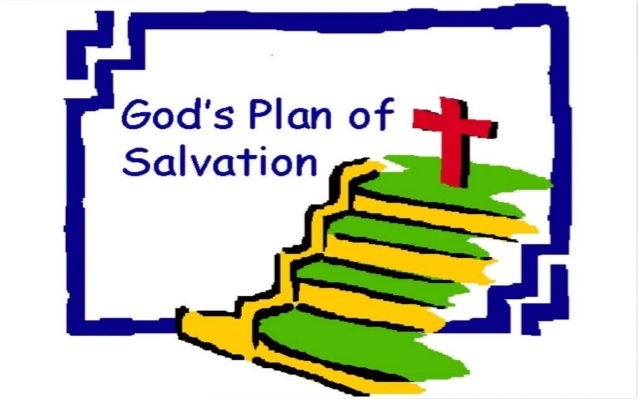 To uphold this concept of salvation they refer to a favorite verse in Romans 10:13 that says, “For whoever calls on the name of the Lord shall be saved”-NKJV. But is this all that one must do in order to be saved from past sins? Is this what the Bible means by the phrase “calling on the name?” It is my declared conviction that this alone is not sufficient to save one from sin. But having said this, I must also declare that it is true that there is no other name by which we are to be saved. 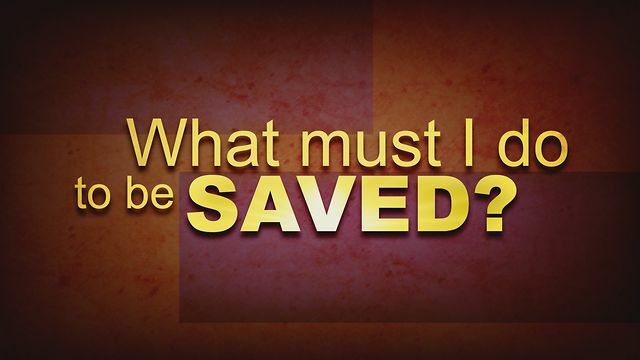 But the big question is, “What does it mean to be saved by calling on the name of the Lord?” My purpose in this lesson is to answer that question by the plain teaching of the word of God. The New Testament book of Acts of Apostles teaches that there is no other name by which man may be saved other than the name of Jesus Christ. After Jesus ascended back to his Father in heaven the apostles went forth to carry out the great commission—to take the gospel to every person in the entire world. We have the record of Peter and John speaking to the people the wonderful name of Jesus Christ. The Sadducees, the priests and the captain of the temple came and arrested Peter and John and put them in custody (Acts 4:1-4). “…let it be known to all of you and to all the people of Israel that by the name of Jesus Christ of Nazareth, whom you crucified, whom God raised from the dead—by him this man is standing before you well. This Jesus is the stone that was rejected by you, the builders, which has become the cornerstone. And there is salvation in no one else, for there is no other name under heaven given among men by which we must be saved” (Acts 4:10-12 ESV). The birthday of the church of Christ is recorded in Acts of Apostles chapter two. The promise in the Old Testament that the kingdom of God or the church would be established is recorded in Isaiah chapter two, Daniel chapter two, and Joel chapter two. This great promise is fulfilled in Acts chapter two. The apostle Peter stood up with the eleven apostles and lifted up his voice and preached the opening conditions of salvation and induction into the church. He quotes a long section of Joel’s prophecy (Acts 2:17-21), as confirmation of the things that were taking place on this memorable day. Wait; do not be too hasty in drawing your conclusion. As G. K. Wallace would say, “A text taken out of context is a mere pretext!” In the context of Peter’s Pentecost Sunday sermon he convicted his audience of having murdered Jesus Christ the son of God: “Let all the house of Israel therefore know for certain that God has made him both Lord and Christ, this Jesus whom you crucified”(Acts 2:36). 37Now when they heard this they were cut to the heart, and said to Peter and the rest of the apostles, “Brothers, what shall we do?” 38 And Peter said to them, “Repent and be baptized every one of you in the name of Jesus Christ for the forgiveness of your sins, and you will receive the gift of the Holy Spirit. 39 For the promise is for you and for your children and for all who are far off, everyone whom the Lord our God calls to himself.” 40 And with many other words he bore witness and continued to exhort them, saying, “Save yourselves from this crooked generation.” 41 So those who received his word were baptized, and there were added that day about three thousand souls. That is what it means to call on the name of the Lord and be saved as stated in Acts 2:21 and Acts 2:38. The person who calls on the name of the Lord and is saved is the same person who in faith repents of sin and is baptized for the forgiveness of sins. Let us now go back to our original text in Romans 10:13 and take a closer look at what is taught in the context. And then we will also demonstrate that the plain teaching of Romans 10: 13 harmonizes with Acts 2:38. This is almost a verbatim quotation from the statement of Moses found in Deuteronomy 30:12-14. Paul applies the reasoning of Moses to his audience in reference to Christ. The idea is that the word of faith is very close and easy to understand and obey. No one needs to ask who will go up into heaven and bring Christ down in order that they might believe. And no one can say who will go down into the abyss to bring Christ up from the dead in order that they might believe. No one can say that because the “word of faith” is very near our mouth and our heart. Salvation is therefore as near as our mouth and our heart! How is the word of faith near our mouth and heart? Based upon all the evidence that Jesus Christ was raised from the dead those who believe in their heart that great fact can make the good confession. Peter made the good confession when he affirmed that Jesus is the Christ the son of the living God (Matthew 16:13-19). Jesus said that he would confess us before his Father if we would confess him before men (Matthew 10:32-33). And we read that Timothy and even Jesus himself made the good confession before Pontius Pilate (1 Timothy 5:12-13). Therefore, these two verses teach that everyone who calls upon the name of the Lord in faith and makes the good confession in repentance and water baptism will have their sins remitted and will therefore be saved. Now let us look at what goes before any of this can take place. Romans 10:16 But they have not all Obeyed The gospel Lord who has believed our report? From this formal induction of facts we see what is required in order to have the word of faith in our heart and mouth and call upon the name of the Lord to be saved. We just reverse the order that is listed in the chart above. All men must obey the gospel (Hebrews 5:8-9), but in order to obey the gospel a preacher must be sent out to preach the word. 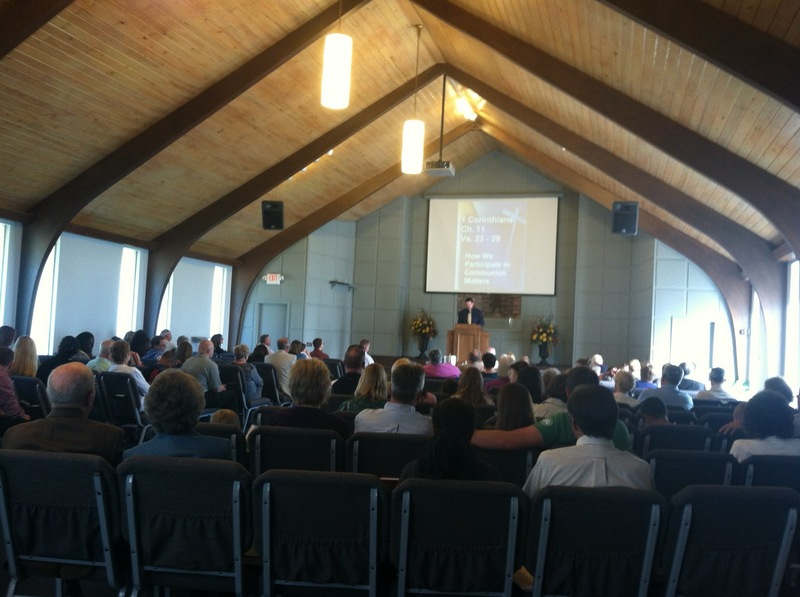 A preacher is necessary because how can anyone hear the word without a preacher presenting the word? But when man hears the word of faith with its attendant evidence he can believe with all of his heart that Jesus is the Christ the son of God. It is only after obeying all the conditions of the gospel (hearing, believing, repenting, confessing and being baptized) that a person can call upon the name of the Lord and be saved. We have one more example of what it means to call upon the name of the Lord and to be saved. Saul of Tarsus was the preeminent persecutor of the struggling church in Acts of apostles. He obtained letters of authority from the chief priests and went as far as Damascus, Syria to persecute everyone who calls upon the name of the Lord (Acts 9:1-18). The full story of the conversion of Saul of Tarsus is revealed in Acts 9, Acts 22, and Acts 26. Luke the historian who wrote the book of Acts declares that the Lord spoke to Ananias and commanded him to go to the place where Saul of Tarsus was in deep penitence and praying. After Ananias had delivered his message and had gone on his journey, Luke says, “and immediately there fell from his eyes as it had been scales: and he received his sight forthwith, and arose, and was baptized” (Acts 9:18 KJV). Please notice that “calling on his name” involved getting up, being baptized and washing away his sins! 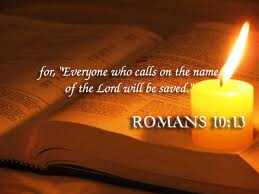 Now let us be reminded again of the words of our beginning text in Romans 10:13: “For whoever calls on the name of the Lord shall be saved”—NKJV. Let us once again demonstrate the harmony between Romans 10:13 and Acts 22:16. When we focus upon all of the words in the command of the Lord from Ananias, we notice the following are very important to those who are considering becoming a Christian. Not yesterday, not tomorrow, but now– today is the time when every person should take care of their spiritual security. To the Corinthian congregation Paul declared “in the time of my favor I heard you, and in the day of salvation I help you. I tell you, now is the time of God’s favor, now is the day of salvation” (2 Corinthians 6:2 NIV). In all of life’s endeavors many people fail because they do not seize the moment–carpe deim! Too many people wait to call upon the name of the Lord and be saved. And often the opportunity is lost for ever. When Ananias spoke to Saul and said, “get up and be baptized,” this is a command in the imperative mood. When Ananias gave this command to Saul of Tarsus he was praying in penitence. But in the New Testament no alien sinner was ever commanded to pray in order to be saved. They were rather told to believe, repent, confess their faith, and be baptized for the forgiveness of sins. Obviously the sins of Saul of Tarsus (and they were many), were not washed away when he first met Jesus on the Damascus Road. If he was saved the moment he believed he was saved while he was still in his sins. Neither Jesus nor Ananias thought he was saved until he was told to get up and be baptized and wash away his sins. This is so obvious that it is amazing that anyone would contradict baptism as a condition of washing away your sins and calling on the name of the Lord to be saved.